Individually-crafted at a family-owned facility in Taiwan. 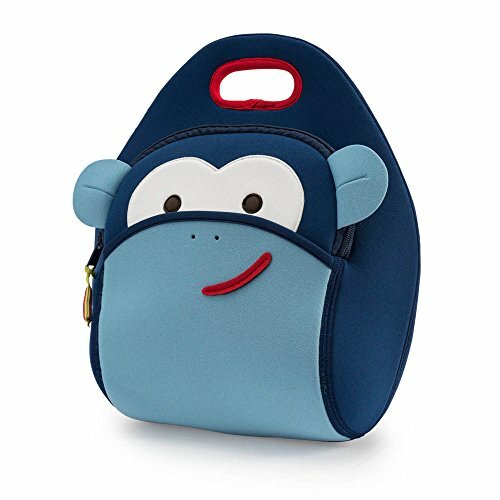 Get rid of lunch time blues with the Dabbawalla Blue Monkey Lunch Sack. Not just for bananas, it fits lunch, a snack and a water bottle. Inside mesh pockets keep things stashed and stowed so whether swinging through the jungle or running for the bus, items stay secure. Insulating properties help keep food at safe temperatures until lunch time, because there is no monkeying around when it comes to lunch.